BUJUMBURA April 2nd (ABP) – The manufacturing factory for electric light bulbs, lamps and other lights was officially opened on Thursday March 29, 2018 in Bujumbura by the second Deputy President of the Republic of Burundi, Mr. Joseph Butore, in the compounds of the former Glass house of Burundi (VERRUNDI), a check on the spot by ABP has revealed. The Tanganyika lisma lighting innovation (TLLINNO SA) is a first production factory for light bulbs, low consumption electric lamps and other lighting resulting from an industrial project symbolizing the stage of internalization with the innovative products of which Burundi is the creator and which reflects a real transfer of technology from Russia to Burundi. 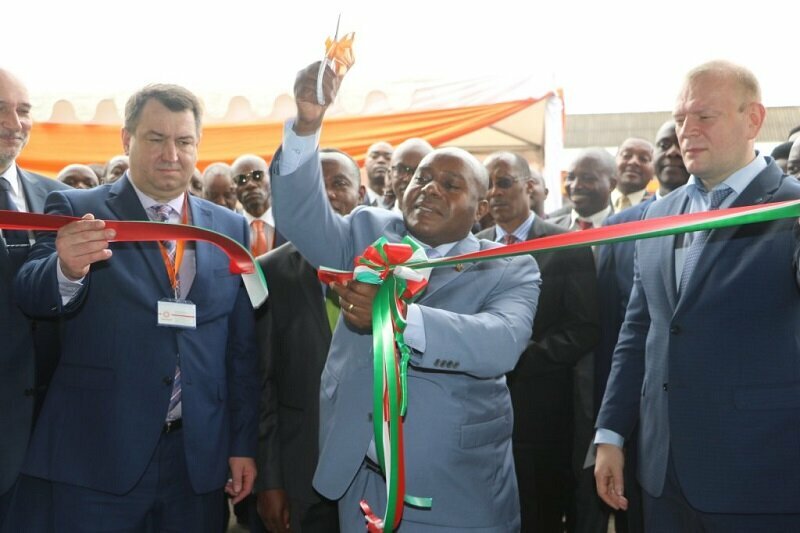 In the official launch of the activities of the factory, the second Deputy President of the Republic said that it is a demonstration that the government of Burundi has started to attract investors from the Russian Federation and particularly those from the Republic of Mordovia. After cutting the symbolic ribbon, Mr. Butore did a tour of the production and testing of new products made in Burundi. He expressed his feeling of enjoyment for that beautiful day of a newborn named “TLLINNO” in the industrial sector of Burundi that will contribute to the economic growth of the country. He thanked all those who invested themselves, both on the side of the Burundian government and on the Russian side, represented by a dynamic and very committed team for the completion of the project and therefore, for the development of an economic win-win cooperation between the Burundi and Russia. The second Deputy President indicated that the activity shows that the investment in the form of “Public Private” partner is possible in Burundi, because TLLINNO is a version involving LISMA (Mordovia company producing more than 300 types of luminous products) including economic light bulbs of LED nitrates, halogen lamps, neon tubes, special lamps and high technology for the recycling of light bulbs), REGIDESO and economic operators of those two countries. Economically, Mr. Butore said that Burundi expects from this factory the contribution in savings of foreign exchange expenditure for the import of the same products, supporting it by the example of 1,735,000 US dollars which have been spent in 2016 and 2017 for the import of various electric lamps, headlights, projectors and others. He therefore reassured that TLLINNO will satisfy the local market and promised that all efforts will be made on the government side to support the industrial sector. In addition, Mr. Butore said he is firmly commitment to promoting business-friendly conditions and ensuring the physical and legal security of investors in Burundi and his everlasting presence in the fight against darkness, under the conviction that a Burundi Illuminated will walk at a safe speed and direction. On his part, the Minister of Energy and Mines, Mr. Côme Manirakiza, said that the factory will contribute in energy that is a prerequisite for industrial development and infrastructure innovation in urban areas. He also stressed that it will enable agri-food processing and avoid energy consumption losses. He asked TLLINNO to begin manufacturing high-voltage wires and poles. 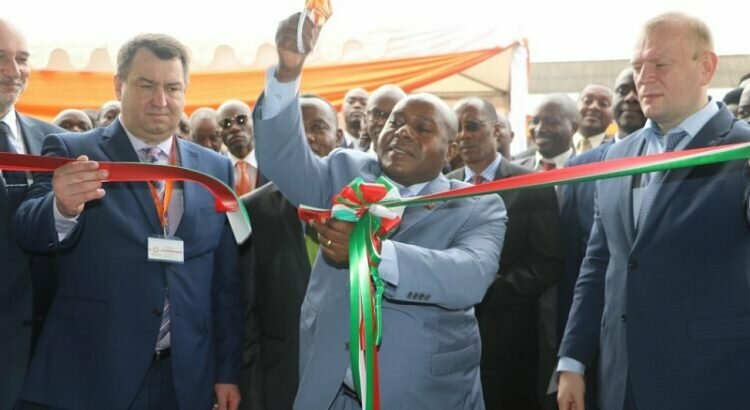 In turn, the Deputy Prime Minister of the Government of the Republic of Mordavia and Minister of Industry, Science and New Technologies, Mr. Aleksandr Sedov, said that the opening of this joint society in Bujumbura is a historic event for both countries, which gives hope for a very long cooperation in the industrial and economic development of Burundi.